Tops 25mm thick edged 2mm matching edging. Sliding top as standard. Desk includes drop down metal wire management tray. Tops 25mm thick edged 2mm matching edging. Fixed top. Includes 2 end frames. Tops 25mm thick edged 2mm matching edging. Sliding top as standard. Desk includes drop down metal wire management tray. Includes 1 end frame and 1 intermediate leg. Tops 25mm thick edged 2mm matching edging. Sliding top as standard. Desk includes drop down metal wire management tray. Includes 1 end frame, to be used in conjunction with starter units. Tops 25mm thick edged 2mm matching edging. Sliding top as standard. Desk includes drop down metal wire management tray. Includes 1 end frame, to be used in conjunction with starter or intermediate units. Tops 25mm thick edged 2mm matching edging. Sliding top as standard. Desk includes drop down metal wire management tray. Mass Cable riser box for fitting to intermediate leg. Aluminium extruded screen with raised post fix and feature acrylic divider. The screen features a 3-level accessory rail with a range of optional rail accessories. Aluminium frame upholstered screen. The screen features a 1 or 3 level accessory rail with a range of optional rail accessories. Fabric screen with fabric trim. NB Grip screen is only compatible with MFC tops. Open fronted or sliding door mobile storage. Tops 25mm thick edged 2mm matching edgings. MFC units carcase white MFC with a choice of MFC tops from the standard MFC finishes. 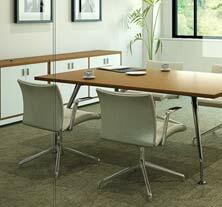 Laminate unit carcase white MFC, tops and fronts in high pressure laminate from the standard laminate finishes. 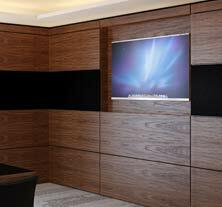 Veneer units carcase, fronts and tops in standard veneer finishes. NB the veneer grain direction on the storage top is front to back. Open fronted, hinged door or drawer mobile storage. Tops 25mm thick edged 2mm matching edgings. MFC units carcase white MFC with a choice of MFC tops from the standard MFC finishes. 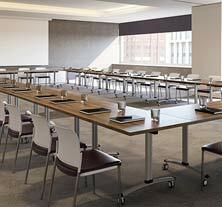 Laminate unit carcase white MFC, tops and fronts in high pressure laminate from the standard laminate finishes. Veneer units carcase, fronts and tops in standard veneer finishes. NB the veneer grain direction on the storage top is front to back. Open fronted, hinged door, sliding or locker format storage. Tops 25mm thick edged 2mm matching edgings. MFC units carcase white MFC with a choice of MFC tops from the standard MFC finishes. 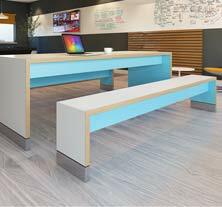 Laminate unit carcase white MFC, tops and fronts in high pressure laminate from the standard laminate finishes. Veneer units carcase, fronts and tops in standard veneer finishes. Optional castors are available. NB the veneer grain direction on the storage top is front to back. These units have the option to be mobile. 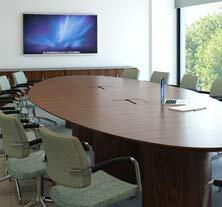 Mobile desk high pedestals have 25mm thick top, and desk under pedestals have 18mm top, both edged 2mm matching edging. MFC units carcase white MFC with a choice of MFC tops from the standard MFC finishes. 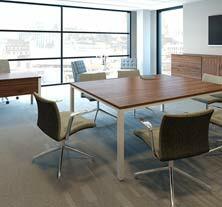 Laminate unit carcase white MFC, tops and fronts in high pressure laminate from the standard laminate finishes. Veneer units carcase, fronts and tops in standard veneer finishes. Drawers black melamine MDF with a dowel construction mounted on roller runners. All drawers to lock. Top drawer in all pedestals fitted with a pen tray. Filing drawer mounted on full extension ball bearing runners, with a deep box drawer with rails for Foolscap filing. Desk high pedestals go at the end of benches/desks. NB the veneer grain direction on the top of the pedestals is side to side. Hinged door storage with open unit above. Tops 25mm thick edged 2mm matching edgings. MFC units carcase white MFC with a choice of MFC tops from the standard MFC finishes. Laminate unit carcase in white MFC, tops and fronts in high pressure laminate from the standard laminate finishes. Veneer units carcase, fronts and tops in standard veneer finishes. End panels drilled full height to accept either wood shelves or Hettich lateral filing fittings (not included). NB the veneer grain direction on the storage top is front to back. Tops 25mm thick edged 2mm matching edgings. MFC units carcase white MFC with a choice of MFC tops from the standard MFC finishes. 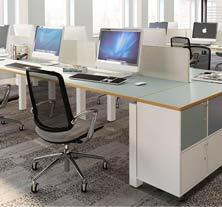 Laminate unit carcase white MFC, tops and fronts in high pressure laminate from the standard laminate finishes. 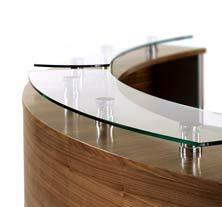 Veneer units carcase, fronts and tops in standard veneer finishes. Cabinet fitted locking hinged wood doors. End panels drilled full height to accept either wood shelves or Hettich lateral filing fittings (not included).